LOCKLINEMeet the unseen Native American rodeos as we journey from the Utah deserts, through the badlands of South Dakota, to the rocky mountains of Montana. The rodeo is a metaphor for rural America. An arena where the kinetic explosions of bronc or bull energy are matched by the dance of riders feeling the mood and predicting the motion of the beasts they’re riding. Rodeos are performed throughout North America testing the skills of the riders and the stock of the breeders in local and national arenas. The rapid modernisation and mechanisation of farming are challenging the economic future of the horsemen and women in rural America. And so rodeo riders become the guardians of the old ways, preserving the skills which have supported communities in the past and which might offer an answer for the future. 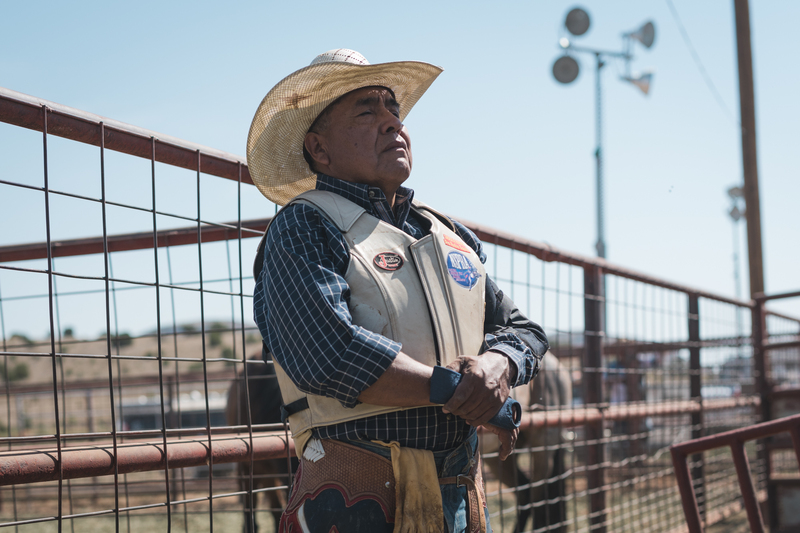 In this feature-length documentary, we meet the unseen Native American rodeo riders who live in reservations across America. 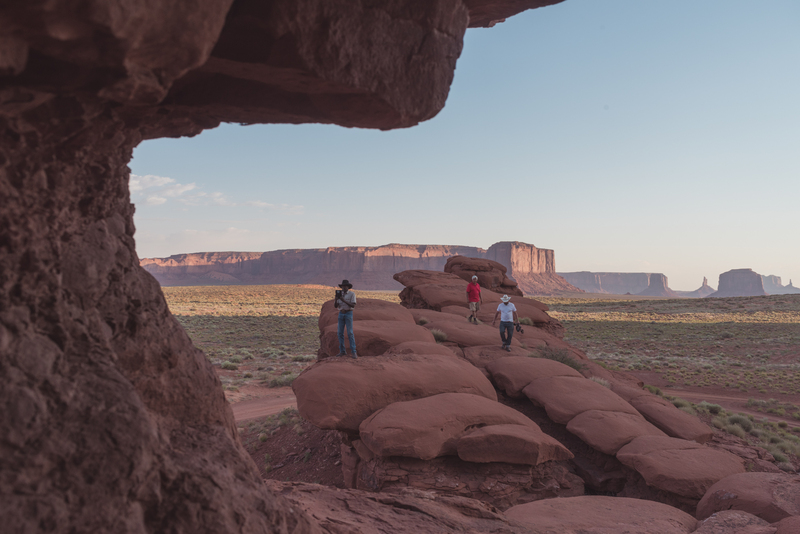 Following the trail of the horse, we start at the red deserts of Monument Valley and Bears Ears, traveling across the grassland plains of South Dakota on to the steep backdrop of the Rocky Mountains in Montana; the respective homes of the Navajo, Sioux and Blackfoot nations. The narrative is character-driven. We will feature portraits of three subjects from reservations in each of our three regions, each with their own distinct story - each with a different relationship to their heritage and identity. Through these interviews, our audience learns about the dreams that motivate them and obstacles that challenge them. Together, these indivdual stories will paint a picture of the life and times of the Native American, modern-day rodeo. Director Doug Hancock has rare access to the Native American communities across the US. 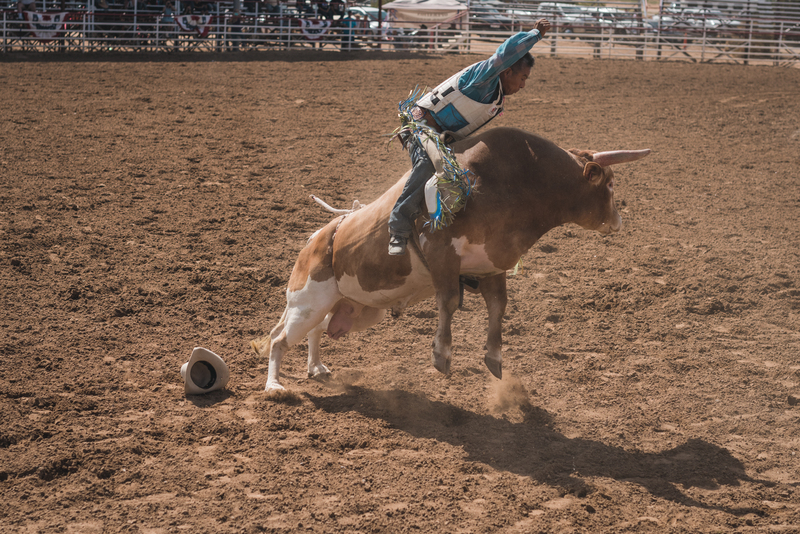 During the making of his latest film Robert Mims - A Texan Bull Rider, which he wrote, shot and directed, he was welcomed into the hearts and homes of families of the rodeo tradition. I've been invited to understand Native American communities, whose rights to land ownership, healthcare and sustainable futures have been repeatedly ignored, whose voices have been misrepresented by successive governments and popular culture. I want to change that. My role is to record testaments depicting people and communities with honesty, highlighting the challenges and achievements of rural Native America. This film will sweep away stereotypes to create an authentic account of what is going on today, the Native American sense of pride and their people's hopes and dreams for the future. The film’s look and feel will be defined by the people and natural wonder of their surroundings. Rich landscapes captured in the right fall of light will add peace to the film, providing a contrast to the kinetic energy of bull riding. The landscape will be filmed with panoramic lenses, while the rodeo will be filmed with more movement and a longer set of lenses. Time dedicated to recording high quality set sound to give the viewer an immersive experience. Watching this film, audiences will feel the landscape come alive. This film is relevant for both US and international audiences. The US audience will be made up of Native American communities, rodeo supporters and people interested in Native American culture. The international audience will include people interested in both American culture and Native American culture. This story will also resonate with a wider audience that engages with human stories outside of their immediate context. An audience interested in exploring our shared humanity. Our crew lives and works in Amsterdam, The Netherlands and we are proud to share our creative work with Dutch audiences. The money raised will support the basic production costs for our small crew of four people. This will cover equipment, transport and travel over the 3.5 week shooting period in October, 2018. A substantial portion of any revenue earned following the film's release will be donated to the American Indian Film Institute. Supporting this film means giving a voice to the unseen Native American rodeo communites. We have already sourced a host of interesting people with stories to tell. With your help we can start production. Half Dutch, half English, Doug settled in Amsterdam enjoying a career as an accomplished editor and a Director of Photography. Now as a Director, he is motivated to tell meaningful stories with resonance. In 2011, Doug set up Darlings Post Productions before moving on to production. 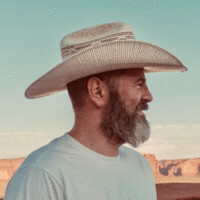 In 2015 Doug worked as Director of Photography and Editor on The Riverman which won a host of international awards, as did his latest film Robert Mims, The Texan Bull Rider, which recently premiered on Nowness. Chris was born in England, grew up kind of French and now lives in Amsterdam after five years in Barcelona. 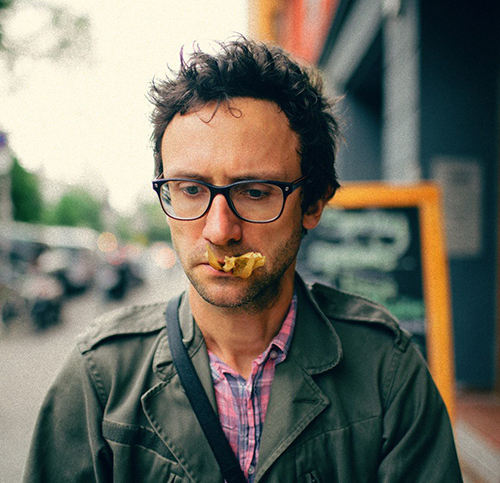 He's dealt with this ongoing identity crisis by photographing other people. His body of work displays a raw talent in capturing the weird and wonderful, for example his 2016 project The curious phenomenon of ski hats in tropical Senegal. Chris travelled with Doug Hancock to the US in 2017 whilst shooting Robert Mims, the Texan Bull Rider to capture the amazing atmosphere of the American rodeo, a collection titled Real Rodeo Riders. Raised in the UK, Claire returned to her birth place of The Netherlands in 2011, after graduating in Journalism. She went on to work for a non-profit organization, traveling the world, producing short films driven by human experience. Claire now leads Mrs.Frank, the evolving fiction and documentary arm of Amsterdam production house, Mr.Frank. Driven by an interest in people and their lifestyles, Claire combines her journalistic training with a passion for creative storytelling and film. Peter was born in South Africa, raised in Sydney and has been living in The Netherlands since 1996. In 2002, he graduated from the Dutch Film and Television Academy majoring in Field Recording and Post Sound Designing. Since then he's worked on many national and international films including 2015 Vreemde Trailes, a TV docu series about different jail systems and the Dutch people who are locked up abroad in places like Albania, Norway, Japan, Peru, Columbia and Lithuania. In 2016, he worked on Forgotten Ghetto, an untold story of a recently recognised Jewish ghetto located in A’dam Noord. Peter also worked on Doug's last film Robert Mims, the Texan Bull Rider. Originally from Portugal, Miguel studied Production in Amsterdam and stayed. With fellow graduate Sjoerd Dekker, he set up production house Mr.Frank, where he now acts as Creative Director. Miguel knows what works on film and how to get it. Following the ongoing success of Mr.Frank, in 2017 Miguel co-founded Mrs.Frank, the new fiction and documentary arm of the company, using what he's learnt in the commercial world to produce films that are compelling, original and relevant. Thank you for your support! Your donation will be returned. Firstly, on behalf of the crew, I want to thank you deeply for supporting this fund raising campaign. Your belief in the story and our abiilities as filmmakers means a lot to us. Unfortunately we didn't reach our target with Cinecrowd. Your donation will therefore be refunded automatically. We are however moving ahead with the project - garnering funds and support from elsewhere. We are still hoping to start production this year -- watch this space! A link to the film soundtrack and a personal thank you from the Director including an electronic postcard of one Christopher Pugmire's stunning images of the American Rodeo. A signed 13x19 colour print (in passepartout) of one of Chris Pugmire's stunning images of the American Rodeo. A signed 13x19 colour print (in passepartout) of one of Chris Pugmire's stunning images of the American Rodeo plus a small end credit in the film. 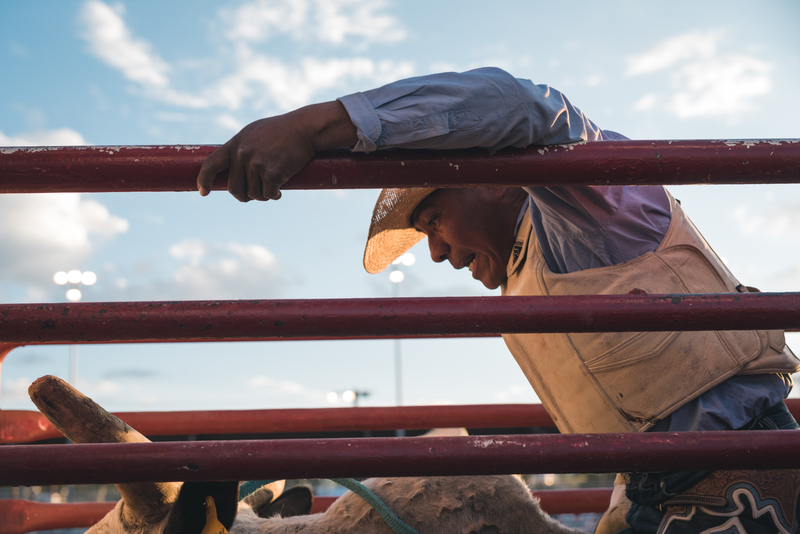 A signed 30x45 colour print (in passepartout) of one of Chris Pugmire's stunning images of the American Rodeo plus bigger end credit plus an online preview link to the film prior to release. A signed 30x45 colour print plus a bigger end credit plus a VIP invitation to the Amsterdam premier with a meet and greet with Director Doug Hancock. A signed 50x75 fine art print, a small honorary producers end credit in the film plus a VIP invitation to the Amsterdam premier. A signed 50x75 fine art print, a large honorary producers end credit in the film plus a VIP invitation to the Amsterdam premier plus a private Q&A with Director Doug Hancock. 8 supporters hebben bijgedragen aan dit project!